Police are appealing for public assistance after a stabbing and home invasion in St Clair earlier this year. Detectives from the Nepean Police Area Command established Strike Force Belleverde to investigate the malicious wounding with intent of a 17-year-old teen and related aggravated break and enters which occurred on Friday, January 19 and Saturday, January 20 in St Clair. On the evening of Saturday, January 20 an altercation occurred between a 17-year-old teen and a man aged between 18-20 years on Jorgensen Avenue, St Clair. During the altercation, the 17-year-old teen received multiple stab wounds to the face, head and body. Following the stabbing, police will allege three men committed a home invasion at a home on Redfern Glen, St Clair. During the home invasion a 17-year-old man was allegedly assaulted. A teenager has already been charged in relation to this matter, and further arrests are likely to be made. 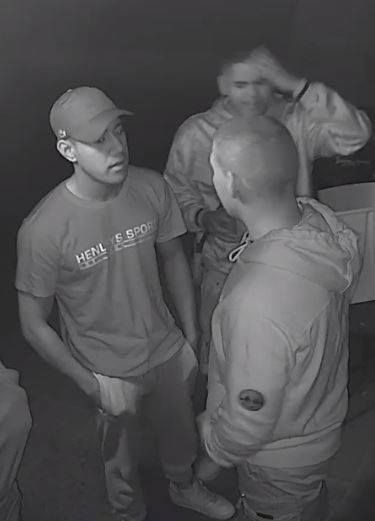 Police would like to speak to two men depicted in these images who may be able to assist police with inquiries. The first man is described as being of Pacific Islander/Maori appearance, wearing a Henley’s sport t-shirt, track-suit pants, a hat and white “Nike” sneakers. The second man is described as being Pacific Islander/Maori appearance, wearing a hooded jumper, shorts, carrying a bag over one shoulder and wearing Nike sneakers. Police would like to speak to anyone who was in the vicinity on Jorgensen Avenue and/or Redfern Glen, St Clair and who can provide any information to contact Nepean Police Area Command detectives or Crime stoppers on 1800 333 000.